Do you have a limp keyboard after rebooting? Have you reboot\restarted your computer only to have the keyboard limp\non-responsive or just DOA? I think I can help! How do you search LOTS of files for a specific string? You have a task to search through hundreds or even thousands of files for a string? I think I can help out. Having problems installing apps to your Windows Phone from your computer? Have you tried to install Windows Phone apps from the Marketplace from your computer? Getting NO WHERE FAST?! I think I can help! Ottawa Dev Day 2015 is coming! Are you interesting in speaking? We want to hear from YOU! What are those numbers on far right of the WP emulator? When you create new WP apps and run them, do you see numbers on the far right written landscape (on their side in portrait)? Sometimes in red? Last weekend I participated in Startup Weekend Ottawa. I’ve done a four+bonus series. I hope you enjoy it! Problems launching Modern or Metro Mail instead of Outlook with Windows 8? Are you using Windows 8 or 8.1 and have Outlook installed but STILL launching the Metro/Modern Mail client…but WANT to run Outlook? I think I can help you! SWO5 – You Going? GREAT! Now What? Last weekend I participated in Startup Weekend Ottawa. I’m doing a four part series on my experience, this is four of four. I hope you enjoy it! SWO5 – What Do You Need To Participate? Last weekend I participated in Startup Weekend Ottawa. I’m doing a four part series on my experience, this is three of four. I hope you enjoy it! Last weekend I participated in Startup Weekend Ottawa. I’m doing a four part series on my experience, this is two of four. I hope you enjoy it! 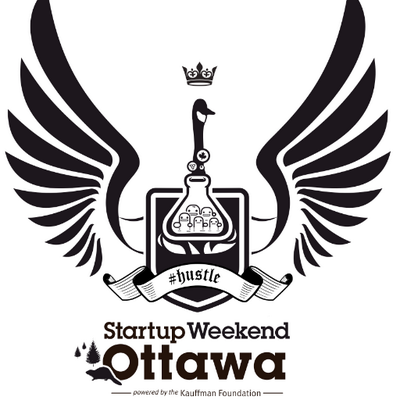 Last weekend I participated in Startup Weekend Ottawa. I’m doing a four part series on my experience. I hope you enjoy it! Are you a Windows Phone user? COOL! If you are, you might be using the 8.1 beta. If you are, and you use the Calendar (like me) you need to read on! Over lunch today I read the WP 8.1 developer preview was available…..YUP! I couldn’t resist, I had to update it. Here’s my initial thoughts! Do you get links to Windows Phone Marketplace and they do not work for you? Do you get asked to download, install or even eval an app on the Windows Phone Marketplace? BUT when you click on the link, you cannot download the app? I think I can help you out! You updating your Windows Phone app and getting a browser not supported error? Silverlight not supported? You’re a Windows Phone developer and going through the Dashboard to update your app? You getting an error about your browser not running Silverlight and open desktop version? BUT YOU ARE?! DOH! I think I can help you out! Unable to get an MVVMLight project working after doing a merge with source control? Did you just merge a bunch of changes in source control, but now your project won’t compile? Getting a bunch of GalaSoft namespaces not being referenced errors upon compiling? I think I have something you can try to help! You a Windows Phone developer looking to renew your account? Wha? Wheres the link? If you’re a Windows Phone developer, the time has arrived to renew your account, so you go looking for the link to check ……out…….uh…..Dashboard, I’m signed in….where’s the Subscription link? I think I can help you out! You need to test network connectivity with your app, suggestions? You’re writing an app and want to test what happens when you lose your connection to the DB? I think I can help you out! You just inserted a row in SQL Server db now how do you get the PK\ID from it? You just added\inserted data into your db, what PK\ID\counter\integer\whatever did you just add? I can help you with three options. How do you format REALLY big numbers in a select to differentiate them? You have some REALLY big numbers in your T-SQL statement, how do tell the millions from the thousands? I have a quick trick.